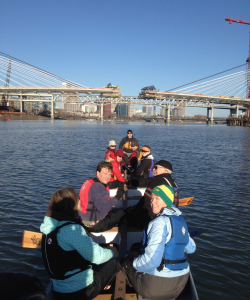 Join a Portland Dragon Boat Team Today and Get Fit! 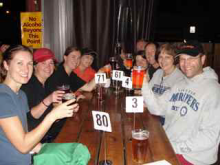 The Castaways is a Portland dragon boat team that believes exercise should be both fun and rewarding. 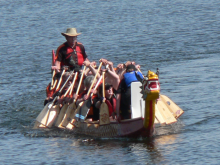 The beauty of dragon boating is that people of all ages, shapes, sizes and athletic ability can easily participate. We’ve had paddlers in their 70’s, as well as fresh-faced 20-somethings. Workouts are hard and we encourage everyone to do his or her best. We’ll do intervals, vary the stroke rate, and do the occasional endurance workout where we keep paddling for 20 or 30 minutes at a time. You’ll also work your heart muscle to the core. If you’re not breathing hard, you’re not working hard. But, the best part of the Castaways is that we don’t have required workouts, required practices, or try-outs for the team or races. Anyone who shows up regularly to practice will participate in the 4-6 races we enter each year. There’s none of the “you’re not good enough for the ‘A’ team” stuff you’ll find on some teams. All you need to get started is a willingness to get fit while having fun. We’ll provide PFD’s (life jackets) and paddles to new paddlers, and we’ll give you one-on-one instruction until you feel comfortable with a paddle. 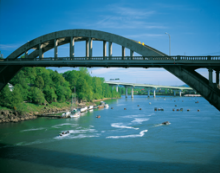 We hope to see you on the water soon! Just click on the Contact link to get more information, or show up at the dock 15 minutes before one of our practices.